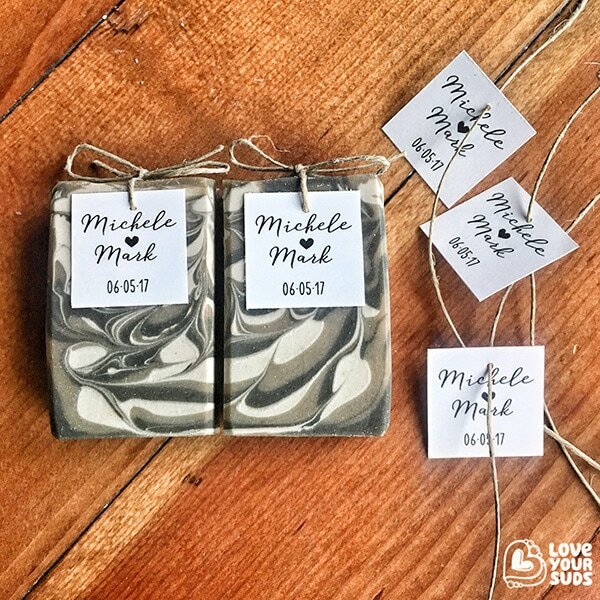 Handmade artisan soap favours for Michele and Mark's wedding attendees. Made using classic cold process techniques with skin-loving ingredients such s shea butter and clay. 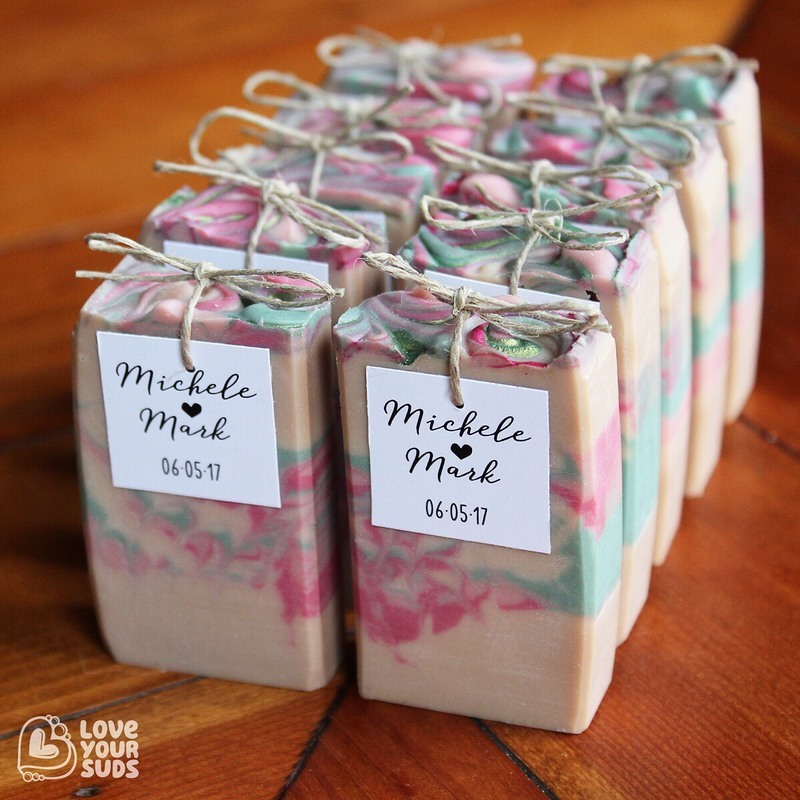 Finished with clean minimalistic labelling and natural hemp twine to tie in with their wedding decor while allow the colours and swirls of the soaps to shine through. Vintage Rose features a butterfly swirl of pinks, greens and ivory white with a bouquet of roses with notes of vanilla. Shades of clay features a modified tiger stripe of muted greys with a fragrant blend of bergamot and vanilla essential oils. Saponified oils/butters of olive*, coconut*, avocado*, shea**, castor, macadamia nut and soy wax, kaolin clay, sodium lactate, essential oils (vanilla), fragrance oils (English rose), titanium dioxide and mica. Saponified oils/butters of olive*, coconut*, avocado*, shea**, castor, macadamia nut and soy wax, kaolin clay, bentonite clay, dead sea clay, sodium lactate, essential oils (bergamot, vanilla), titanium dioxide and activated charcoal.